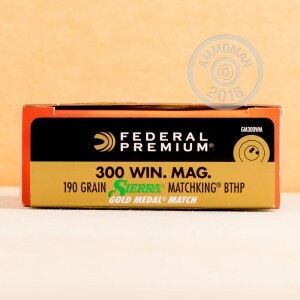 The 300 Win Mag, since its debut in 1963, has become one of the most popular rounds in America. In fact, it is the most used 30 caliber, magnum, hunting round in the United States. With its manageable recoil, high accuracy, long range, and high power, this round makes for a great match, range, and hunting round. 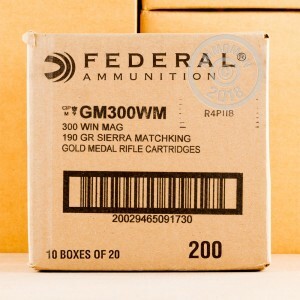 With these 190 grain, 300 Win Mag rounds from Federal Premium, you have some fantastic, all purpose rounds. 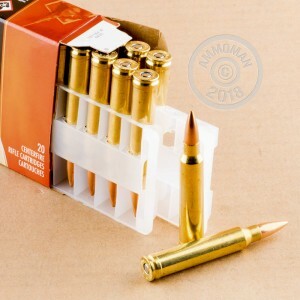 Great for deer hunting, match shooting, range training, and self defense, these hollow point boat tail rounds are incredibly accurate and have better range than most other rounds. With these cartridges, you are set for a ton of precision blasting fun.